One of the most admired architects in Cincinnati history is Samuel Hannaford. His reputation has endured along with his buildings. Some of the best known landmarks in our city, such as Music Hall and City Hall, were of his design. Hannaford is more than a local architect although the bulk of his work, over 300 buildings, was done in the tri-state region. His homes extend from New England to the Midwest and the South. His reputation as a man who carefully and promptly carried out his commissions, and as a capable architect, earned the trust and fame that his firm, Hannaford & Sons, had until its close in the early 1960s. But what of the man? Beyond his buildings, only the sketchy details of his life are known. He was born on April 10, 1835, the third in a family of eleven children, in the parish of Widdecombe- on-the-Moor , Devonshire, England. This is an area of natural beauty and was the model for Thomas Hardy’s “Wessex” and Conan Doyle’s “Grimpen Moor.” His parents, Roger and Mary (Northcott) Hannaford, both came from prosperous farming backgrounds. 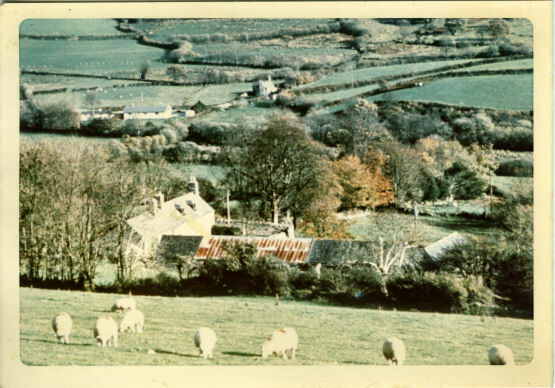 Roger’s brothers, Samuel and John William, each had a nearby farm in Devonshire. Roger’s family left Southcombe Farm (a house has stood here since 900) that had been in the Hannaford family for over three centuries, immigrating to America in 1844. 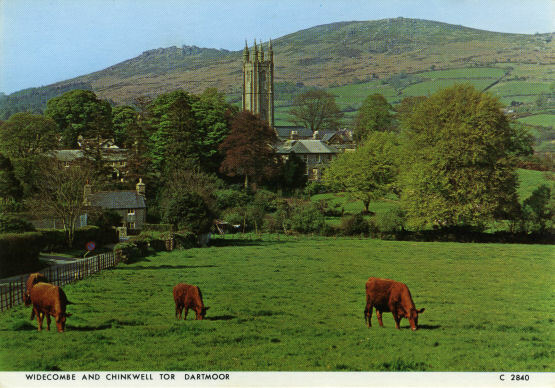 The economics of farm life in Devon had declined as a result of England’s industrialization. Another reason for leaving England at this time was a fire in 1840 which destroyed their home and it was not rebuilt. 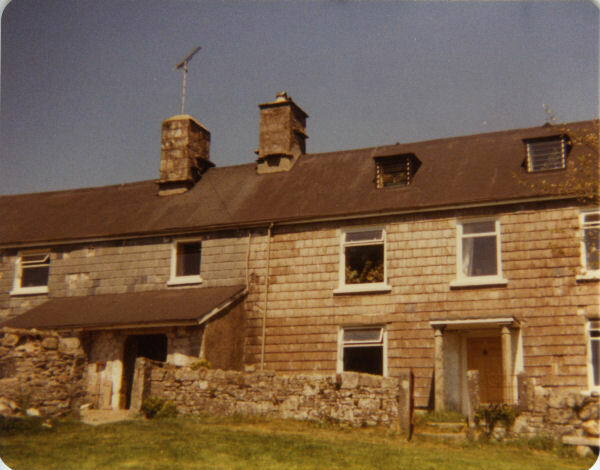 The family was living with Roger’s brother Samuel on his farm during this four year period. Samuel was nine when he arrived in this country with his parents and seven siblings that differed in ages not more than fourteen months. They left Liverpool for New York in the sailing packet Mrs. Siddons of the Collins Line. In an account he wrote about his trip he relates that the “Bowsprit was ornamented with a life size figure of the actress with the right arm outstretched and pointing onward. In the preceding voyage the arm had been broken off in a storm. We were five weeks and three days on the ocean.” The ship was crowded, water seeped in on the lower deck and rats occupied the cabins but the family stayed healthy during this month long voyage. In Maryland they took a stagecoach across the Cumberland mountains going to Wheeling, West Virginia. From Wheeling they traveled to Cincinnati on the steamboat Revenue. According to his memoirs the entire trip took seven weeks. The family with their eight children arrived in Cincinnati in November of 1844. Traveling with them was John Payne, his wife and two children. He earned their passage by attending to the Hannaford children as a tutor. They “lodged in a house situated on the S. E. corner of Walnut and 9th Sts. At that time there were not many houses beyond that. I think that Smith and Nixon kept a grocery store in that corner. The proprietor of the boarding house or hotel was named ‘Hook.’” It cost $30.00 a week to stay. They next lived in a house on Catherine Street (between John and Mound) before purchasing, in June 1845, a 38 ½ acre farm in Cheviot (Green Township) for $4,000. The 1850 Green Township census lists Roger as a 46 year old farmer and his wife as 39. Roger, Jr. is 16 with the occupation of a farmer, Samuel was 15, Joseph 14, Sarah A. 11, Ebenezer 10, Edwin 8 and Robert 7. John, the eldest, was already on his own and was not listed in this census. Shortly after arriving in Cheviot, the family tutor left and since he had helped with the farming as well, the Hannaford children had to assist with the farm for the first time. The children attended the Cheviot public school for a short period and were withdrawn when another tutor, Mr. McCorkell, was hired for $100 a year and board. Roger Hannaford disapproved of the coarse manners and language his children were exposed to in the public school. After helping on the farm during the day, the children were tutored in the evening from 6 to 9. Their brother John was apprenticed to a druggist and later served as the tutor of his siblings. John eventually had his own drugstore on the SW corner of 6th and Western Row (1856). In 1853, Samuel was enrolled at Farmers’ College, College Hill, Ohio. His father had purchased shares of stock in the Ohio Female College and was able to use the stock as a perpetual tuition scholarship at either college. The colleges were across the street from each other and gave College Hill, a community in Cincinnati, its name. In 1852, Roger Hannaford, Hon. John McLean, Robert W. Burnet, Giles Richards and Samuel F. Cary were officers of the board of the Ohio Female College, and Rev. D. H. Allen of Lane Seminary, John Probasco, J. W. Caldwell and Hon. Caleb B. Smith were among the members of the board. This is important because Roger was sitting on a board with many of the most influential people in the Cincinnati area. Several, such as Cary and Rev. Allen, were active in the Underground Railroad, hiding and moving escaped slaves out of Cincinnati. Roger’s contacts later proved valuable to Samuel as he worked for both Probasco (Probasco fountain) and Rev. Allen (Walnut Hills Presbyterian Church). Samuel attended Farmers' College studying scientific farming. He left his mark as one of the several editors of the secretly published one issue student newspaper The Thunderbolt dated April 1854. According to a letter by Dorothy Hannaford Blackwood, the paper “ceased publication after the head of the College shamed the unknown editors by calling attention to the scandalous fact that the semi-Biblical phrasing often used proved conclusively that the misguided young men had undoubtedly been raised in religious households.” He is thought to have been the architect for the cooling tower of the Ohio Female College while he was still a student across the street . After a religious disagreement with his father, Samuel was forced to leave his home and education. Hannaford also had to find a job and started his apprenticeship with the architect John R. Hamilton in 1854, probably as a draftsman. While learning to be an architect he also worked in a drug store for his brother John. Hannaford remained with the Hamilton firm until 1857, when he left to start his own architectural business located on 3rd Street. Mary Hannaford died in 1852 and is buried in Spring Grove Cemetery. That year saw Roger naturalized as a citizen. Roger remarried in 1853 to Mrs. Sarah B. Gest and started a second family of six additional children. The family remained on this farm until 1857, selling it for $13,000. They next moved to a larger farm in Butler county, Ohio. The Hannafords prospered, and this second farm was large - having 140 acres (costing $80/acre). Roger complained in his diary that Cincinnati’s “climate is the worst in the world, too dry or too wet, too hot or too cold” and concluded that English weather was better. Roger decided to move in 1860 to Marion, Kansas, where a branch of the Hannaford family still remains today and owns a title company. Roger’s son, Joseph, joined his father and stepmother in Kansas and set up a surgical practice there. When he was 17, Samuel left home possibly because he would not join the Presbyterian church - of which his father was a staunch believer. On January 8, 1857, Samuel married (without his father’s advice or consent) Phoebe Statham, daughter of one of Cheviot’s pioneers, David Eldridge Statham. Mr. Statham and his wife, Dorcas Hildreth, came from Cape May, New Jersey to Ohio in about 1812. Mr. Statham was Cheviot’s school master from 1817-1823 and later became a grocer. Samuel and his bride were married by a Methodist minister and Samuel became a lifelong Methodist. The newlyweds lived with her parents. Samuel was not prosperous at the start of his career. He rented a room in downtown and went home on the weekends, walking to Cheviot to save coach fare. He ate poorly, mainly bread with molasses, and contracted typhoid fever. During the summer months he held a second job working at a tree nursery. 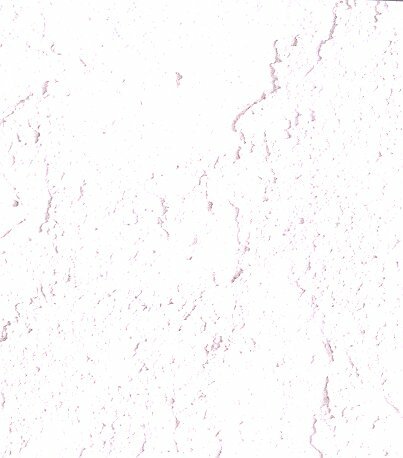 He also sold a roofing material that was water and fire proof. He painted suckling pigs in holiday colors - a Victorian Christmas tradition that used the pig as a table decoration before it was eaten. His father later relented and helped him financially during his difficult years. Samuel joined the architectural firm of Edwin Anderson and William Tinsley in 1858. Tinsley was then age 54 and had many years of experience to share with his younger partners. Anderson & Hannaford were the architects for the castle fortress-like Workhouse. A state of the art building, it was much admired and copied. While Samuel worked in Cincinnati, three of his brothers, Edwin A., Roger, Jr., and Ebenezer, volunteered to fight in the Civil War. They survived and two left behind an important legacy. Ebenezer wrote a history of the 6th Ohio Infantry in which he served. Roger, Jr. kept a three year diary of the 2nd Ohio Calvary. Family tradition says that there was a paper shortage during the Civil War and that Roger, Jr. had plenty to use because he had worked at a stationery store before enlisting and retained friends there. These diaries are in the Cincinnati Historical Society library collection. In 1865 the house designed by Samuel for his growing family of three children was completed on the N.E. corner of Derby Avenue and Winton Road in Winton Place. Winton Place had been platted that year by Samuel Froome and Sylvester Hand. Several of the Anderson’s, including Edwin, also relocated to the community. Hannaford’s’s frame house still stands. It was described years ago as a rambling, 2 story gray frame building with green shutters and gabled roof on 1 ½ acres of land. And had a large frame barn. In one of its 10 rooms was a mantel carved by William Fry. All the woodwork was cherry. In the peak of the gable are his initials, SH. This house was Samuel’s home until his death on January 7, 1911. His sons Harvey and Charles lived two doors down on Derby Ave., each having a rather plain wooden house. At that time, Winton Place was home to many prosperous businessmen. It was originally called Spring Grove (1841) and the cemetery opened there in 1845. In 1865 Samuel Froome and Sylvester Hand laid off the community on the land that they owned which had been part of Matthew Winton’s Mill Creek township farm. Winton moved to this area, far from Cincinnati, because as a tavern keeper he sold illegal whiskey and kept running afoul of Cincinnati’s liquor laws. The name Winton Place was accepted by 1879. The community had no saloons and the prominence of the Methodist church kept it that way until after it joined the City. When the Hannaford’s moved to Winton Place in 1865, they joined the Winton Place Methodist Episcopal church, which was located on Gray Road. Eventually the church outgrew the building and a new one was erected in 1885, with Samuel Hannaford as the architect, on the corner of Epworth and North Edgewood streets. It is in the Gothic style and is trimmed in limestone. He and his sons were also responsible for building of the parsonage in 1888. His family also were active parish members for many years. It also was the place of worship for his brother Ebenezer and his wife, Anna. The Froomes and the Hands played a large part in the church’s development and is was here that Samuel met his second wife, Anna Belle, whose father sat one several committees with Samuel. Hannaford tried working on his own again in 1871 with an office at 1777 W 5th Street. Having toured Europe and visited with relatives back in England, Hannaford’s designs started to show a European influence. It was during this time that he drew the plans and supervised the building of St. George Church, a major commission. Archbishop John B. Purcell officiated at the cornerstone ceremonies on Oct. 13, 1872. Hannaford joined fellow architect Edwin Procter in 1874 and they drew the plans for Music Hall, but in 1876 Hannaford dissolved the partnership and worked alone until 1887 when his sons Harvey and Charles joined him in his office in the Hulbert Building at 6th and Vine streets. For seven years of this period (1878-1885) he was the supervising architect of the U. S. Custom House and Post Office. In 1887-1893 Hannaford & Sons designed and supervised the construction of the city’s most important building, Cincinnati City Hall. This building more than any other made his firm’s reputation. Finished in 1893 at a cost of 1.8 million, it became known country wide. Hannaford and Sons were paid $54,000 for their work. Designed in the popular Richardsonian Romanesque style, it was constructed of rusticated Wisconsin brown stone, Ohio bluff stone, Missouri granite, and Indiana flat stone. The staircases were of Italian and Tennessee marble, Akron tile for the floors and roofs, and had columns of Vermont granite. It was built with an open courtyard so that interior hallways had light and air circulation. Stained glass scenes of Cincinnati’s history illuminate the staircase landings. The clock tower is 253 feet high and the clock is ten feet in diameter. Hannaford preferred to work with certain contractors such as the David Hummel Building Company for stone, Joseph Earnshaw and Thomas Punshon as surveyors, and Francis Pedretti for frescos. Many of the fine homes had woodwork carved by Ben Pittman or Henry and William Fry. Pedretti’s Sons painted murals on City Hall’s ceilings. Frances Pedretti came to Cincinnati for a commission and liked the city so well that he stayed. His form’s frescos can still be seen in several Cincinnati homes and public buildings. The firm was later hired to decorate the state capital buildings of Ohio and Montana. Our City Hall still has a ceiling mural painted by Charles Pedretti. Other similar entrance murals have been painted over. A large Pedretti mural adorns the ceiling of council chambers but it was covered over with acoustical tile in the 1930's. In 1990 the council chambers were remodeled and while the wall tiles were removed, the cost of $200,00-$300,00 to uncover the ceiling and to prepare the surface for further restoration proved too expensive for Cincinnati. Phoebe Hannaford died May 26, 1871 of typhoid. She was buried in the Cheviot Cemetery (Harrison Ave. at Glenmore) next to the graves of her parents. This cemetery was later paved over by the City. The surviving children from this marriage were Harvey Eldridge (1857-1923) and Charles Edward (1860-1936), who joined their father to form Hannaford & Sons. Both were educated at the Chickering Academy “Select School for Boys” on George St., following a classical and scientific curriculum. Harry went additionally to the Boston School of Technology before joining the firm. Their sister Anna Miriam died unmarried (1856-1886). Hannaford married several times after the death of Phoebe. In June 1873 he married Anna Belle Hand, daughter of Sylvester Hand, who originally platted the community of Winton Place. The Hannafords had four children before she died in 1883. Only Alice Bell and Edgar Northcott survived infancy. Edgar N. was an engineer and joined Peck, Hannaford and Peck which is now Peck, Hannaford and Briggs. Following Anna Belle’s death, he married Ada Louise Moore ( age 25), daughter of Arthur G. and Isabel Utz Moore. Samuel’s son, Charles Edward married Agnes Fleming Moore, Ada’s sister. Ada had gone to school with Charles Edward and Harvey. The Moore family once operated a foundry in Cincinnati that specialized in manufacturing riverboat engines, but during the Civil War the foundry switched to making gunboats. Ada’s father, Arthur, was president of the Moore Richardson Cincinnati Locomotive Works, leaving to become the superintendent of the Cincinnati Water Works. The Hannafords had three children, but only Dorothy (1887-1963) lived to marry. 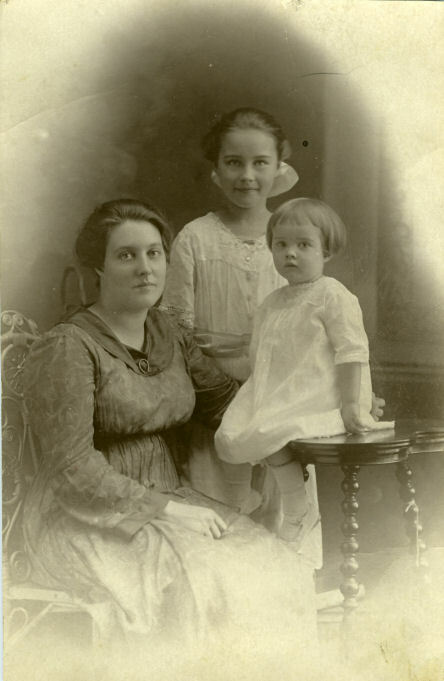 (Picture of Dorothy Hannaford Blackwood with daughters Bonnie and Mattie Lou, 1919.) Mrs. Ada Hannaford outlived Samuel and died in 1941. Samuel Hannaford retired from the firm in 1904 and had a stroke in 1909. He continued to write as the editor for the “Western Architect and Builder,” a trade magazine, until a few months before his death. Hannaford had a strong civic commitments. He served as the first and only mayor (1882) of Winton Place before it was annexed in 1903 into the City of Cincinnati. In the early years the Winton Place council room was the rear office of Mayor Hannaford’s residence. Edwin Anderson also served as a board member. While the mayor, Hannaford was commissioned to build the Winton Place Town Hall (1890-1893) at the NE corner of Epworth and Edgewood for $12,000. A long time member of the school board, Hannaford was a teacher and officer in the Ohio Mechanics’ Institute (1887), a founder of the Cincinnati Chapter of the American Institute of Architects, and member, trustee and superintendent of the Winton Place Methodist Episcopal Church. He was a Republican, a member of the Independent Order of Odd Fellow (he built the Odd Fellow building on the NW corner of Elm & 7th Sts. ), and president and treasure of the Winton Place Building Association. He believed in vocational education and took a keen interest in housing and education of the poor. He helped to develop the first building codes for Cincinnati. He worked for years on the problem of smoke abatement from smoke stacks and urged its control. One of his favorite projects was championing the building of the Mill Creek Valley sewer. 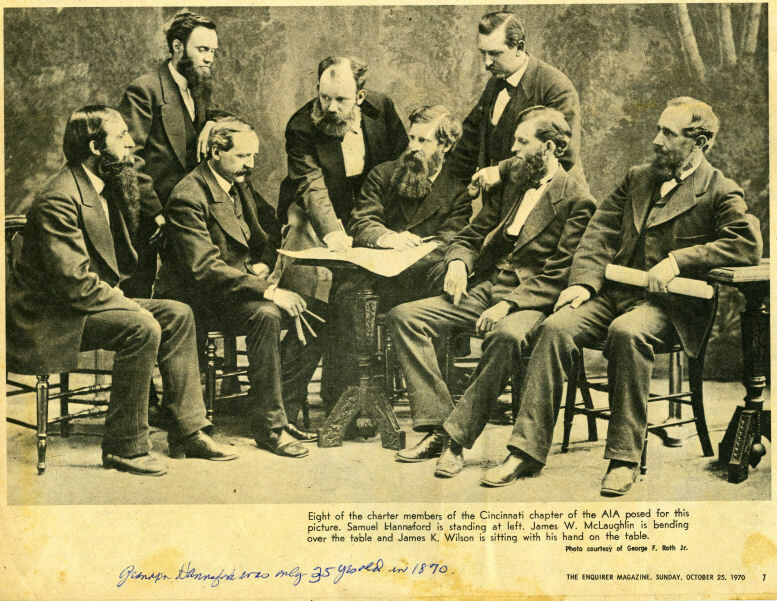 Through his marriages and those of his brothers, Samuel had relatives throughout Cincinnati. One nephew, Howard, married Ruth Emerson (daughter of Mary Ad. Simpson whose family owned Cincinnati Rolling Mills) and Dudley Emerson (Fisher Carriage Co., later Fisher Body) and after years of missionary travel they moved to College Hill. Ruth Emerson’s sister, Mary Elizabeth, married the noted Cincinnati photographer Paul Briol and lived in the College Hill Simpson homestead. The Emerson and Simpson families were wealthy and prominent, both socially and in business. Samuel was also related by marriage to the radio, television, car and refrigerator innovator, Powel Crosley. The late Francis Hannaford, son of Roger, Jr. remembers “Uncle Sam” as coming to a Christmas family gathering in College Hill at the Simpson family home - an imposing figure; tall and slender with a long white beard, top hat and frock coat. Samuel Hannaford wore the clothing associated with being a Victorian gentleman throughout his life. A photo shows him in the same type of clothing at the cornerstone ceremony for Twin Towers, which he designed in 1903 and was supervising architect. In a tribute written about him after his death, it was said, “If the building of gentle, sympathetic, just, strong and steadfast character to be the aim of human life, then Samuel Hannaford was the most successful man that we have known.” He is buried in Spring Grove Cemetery and it was his explicit order that he not have a tombstone. Samuel Hannaford was inducted into the Greater Cincinnati Business Hall of Fame in Sept. 2000. While Hannaford did not invent an architectural style as did Richardson, he built in whatever style the customer wanted. Reference books were used, just as today, to chose a style. Sometimes the customer had a particular building in mind he wanted to emulate. His buildings were purer in style when compared to McLaughlin, another prolific architect at the time, who had a freer approach to a particular style. Hannaford best demonstrated his abilities of artistic freedom in his Queen Anne buildings. I think that he excelled at institutions - those hard working public buildings that have lots of use and little maintenance. Built large and solid, their exteriors of stone and brick, their halls of tile and marble with limited plaster exposed - these still exist in good shape and only need upgrading and cosmetic work. Both Dorothy Hannaford Blackwood and Martha Louise Hannaford Collas have donated materials to the Cincinnati Historical Society. Mrs. Collas donated Hannaford’s drafting table and tools, drawings, scrapbooks, a china cupboard from the family, and his original drawing of City Hall. Mrs. Blackwood has donated letters and other family materials. Hannaford scrapbooks are in the Rare Book Room of the Public Library and the Cincinnati Historical Society library. His existing building plans are also in the latter. There is a Hannaford, North Dakota named for James Hannaford, a railroad agent, and a Hannaford Street in Dickinson, North Dakota. There is not a known connection to the Hannaford Drugstore chain in Maine, the Hannaford Grocery chain in New England or the Hannaford Circus. Memoirs of the Miami Valley, Vol. 3, pages. 292-294. The earliest Hannaford living in Widdecombe in the Moor was Ollyver Hannaford born ca. 1545. His son, John, was christened there Feb. 11, 1571. Greene Township is part of Hamilton County. The Indians had named the area “Kuliga” a Shawnee term for ‘pretty land.’ During the Revolutionary War these lands were part of Botecourt county, Virginia - this huge area included all of Ohio, Indiana, Illinois, Michigan, Wisconsin, Minnesota and West Virginia. In 1778 Botecourt county was divided and Greene township land became part of Illinois county, Virginia. In 1790 Hamilton county was formed by the Symmes Purchase. In 1809 Greene township was named for General Greene of the Revolutionary War. Miami University had many prominent teachers. Some left and became part of Farmers’ College. Rev. Dr. Robert Bishop, then head of Miami University, agreed to head Farmer’s College; Dr. William McGuffey taught Greek and Latin and Dr. John W. Scott taught natural sciences and chemistry at Farmers’ College, both having taught at Miami University. Freeman G. Cary, brother of Samuel Cary, met and studied under them at Miami University before opening his school, which grew to become Farmers’ College. In 1828 Mr. Lane and his brother, New Orleans merchants, wanted to establish a school for Baptist “pious but indigent young men.” The Baptists were not interested. It was then proposed that the venture should be a joint Baptist-Presbyterian one. The Presbyterians were not interested. Then it was proposed to the Presbyterians alone and was accepted. The land was donated in Walnut Hills and the school was to be preparatory, combining collegiate and theological teachings. In 1833 it was reduced to a theological seminary. In the 1830's the Rev. Lyman Beecher, the most powerful preacher of his day, was persuaded to come to the city to head the Lane Theological Seminary and several of his children, including Harriet and Catherine, came along with him. Mrs. Dorothy Blackwood. Letter to the Cincinnati Historical Society, April 29, 1948. Cheviot was originally named Beech Flats. It was laid out by John Craig, Sr. in 1818 and named after his homeland, Cheviot Hills, in Scotland. Lots sold for $18. George Hildreth and his wife, Asenath, came from Cape May, New Jersey. They settled in Greene township in 1815 and he was ordained the same year as a Baptist minister. They had 7 children. Edwin Anderson was born in Clermont County on Feb.24, 1834. His father died in 1841 and the family moved to Cincinnati. Edwin studied to be a civil engineer and had a job in railroad construction. He learned architecture in the firm of Hamilton & Rankin before teaming with Hannaford in 1857 to form their own firm. In 1861 he enlisted in the Civil War as an engineer. After the partnership split in 1871 he successfully continued under his own name. Chickering Classical and Scientific Institute was founded in 1855 by Josiah Bouetelle Chickering and was located on George St. in a fire engine station. The school was well attended and quickly outgrew its location. In 1859 a new school was built on George St., between John and Smith Streets. The roster of teachers during its 31 year history were of the very best, including Charles Aiken for music and Rev. J. C. Brodfuhrer, former president of Farmers’ College of College Hill, Ohio.